Our principal Dr. Schall has stated publicly at our Local School Council meetings and in other meetings with staff that he wasn't closing any shops and that he supported our CTE program. The Prosser CTE wing is getting a $12 million renovation and has no Auto Body shop in the architecture plans because our network chief Randel Josserand has been pushing to close Auto Body for years because he believes it is not a viable pathway and Dr. Schall is going along with the plan. Dr. Schall has officially started to close the program by emailing CPS to state he intends to close Auto Body. For the past 2 years Prosser's Auto Body Program has been taught by an incredible instructor Keshaun Thompson. He has completely turned the program around and Prosser students are overwhelmingly wanting to take his CTE pathway course. His program is a fully enrolled, strong and competent CTE program with students obtaining job placement in the field and obtaining certifications for the first time in years. CTE does not want this shop to be closed and has always supported the program. The decision for closing Prosser Auto Body lays solely at the hands of the principal Dr. Mark Schall and the network chief Randel Josserand. 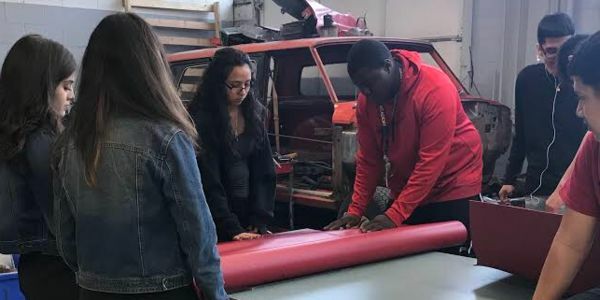 Please sign this petition to show your support for Prosser's Auto Body program and the teacher Keshaun Thompson! Great news! We met with our Network Chief and Principal and have written confirmation that Auto Body will not be closing. There is still a bit of an uphill battle to figure out planning but your voices have been heard! Thank you for sharing your voice and support Prosser Auto Body!